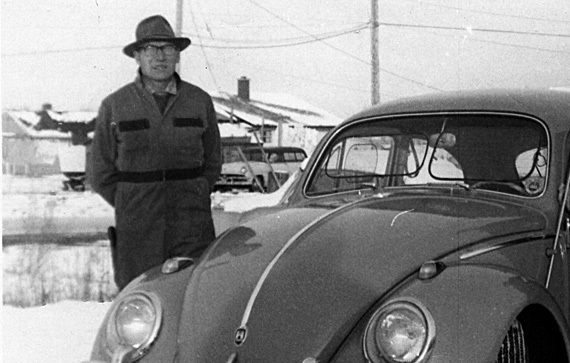 In 1960, Frank Scheffer saw the need in Winnipeg for an automotive repair shop that specialized in servicing European makes, particularly Volkswagen. He opened Frank Motors and quickly earned a reputation for excellence and superior client service. Owners of European cars flocked to Frank for expert repair work. Frank Motors became known for its deep understanding of European engines and parts. And drivers knew that Frank Motors was the place to go to maintain the high performance of their European cars. Over the years, Frank Motors started to take care of all makes and models – applying the same rigour, pride, and attention to detail to all cars. In 1980, Frank’s son, Dieter Scheffer, took the reins and continues today to lead the business with the same energy, values, and passion that characterized his father’s career. And today – Frank Motors is proud to return to its roots with a renewed emphasis on European makes like Volkswagen, Audi, BMW, Volvo, Mercedes-Benz, Mini, Smart, Sprinter, Fiat, and more. We celebrate European automotive engineering; and we celebrate the drivers who choose quality and performance. We take the time to get to know our clients, and to get to know their cars. Frank’s Preventative Maintenance Program (PMP) is designed to extend the life and enhance the performance of your European-made car. Our program offers peace of mind as we develop a maintenance plan that is unique to your car, reflective of your driving habits, and sensitive to your schedule. Clients can count on excellence, attention to detail, and exceptional client service from our experienced team. We care about your car as much as you do. Kyle's customer service is excellent, he is one of the reasons I keep returning for the Krown rust protection treatments. Keep up the good work!